Vita Fede Ultra Mini Titan Ring – a pretty reasonable £89.12. 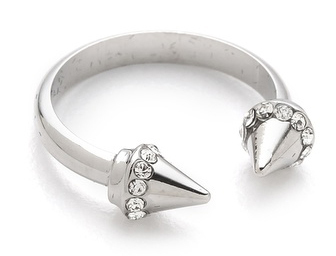 I’m in love with Vita Fede jewellery, so this ring would be absolutely perfect! Rebecca Minkoff Mini Mac Bag £157.44. 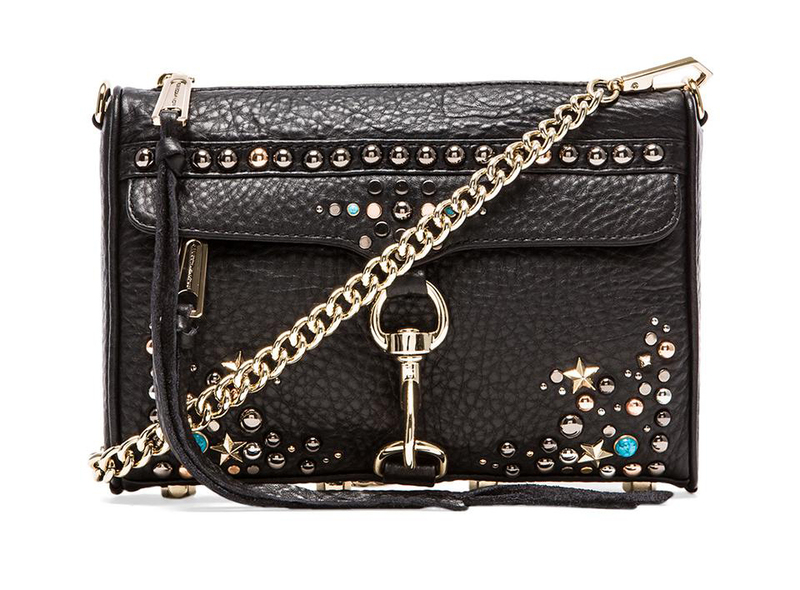 Slightly on the pricey side but not too ridiculous, this bag is right up my street! I already have a Rebecca Mincoff but it’s just plain black, I absolutely love the stud detail on this one. 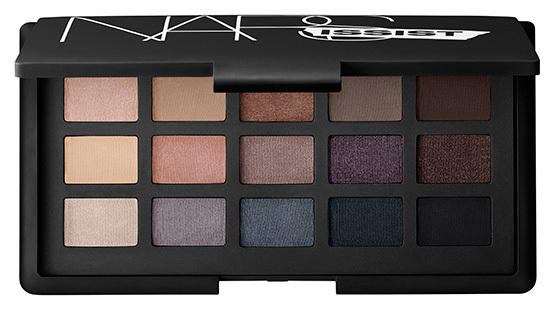 NARS Narsissist Eye Palette $79. Ahh just look at the colours!! I also have a soft spot for amazing palettes. Fingers crossed for this one! Kat Von D Ladybird True Romance Palette $36. I’m desperate to try some of Kat’s range and the colours in this palette really stood out to me as they’re quite unusual. Kat Von D Lock It Foundation would also be great! 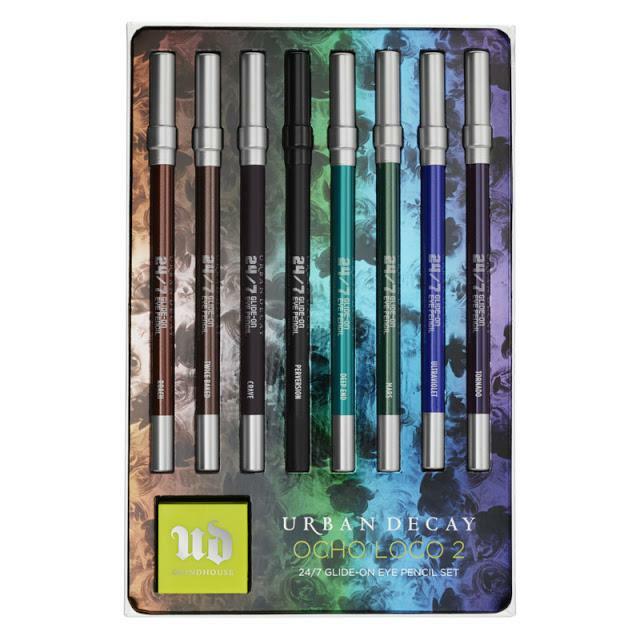 Urban Decay Ocho Loco 24/7 Pencil Set £40. Ok £40 is a lot of money for eyeliner pencils, but I am a complete eyeliner whore… and you do get eight here so it’s only £5 each, which is a complete bargain and totally worth it! 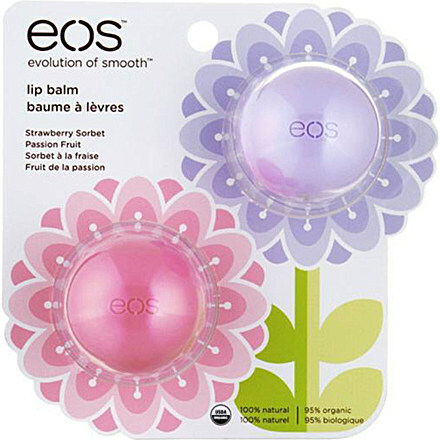 EOS Limited Edition Spring Lip Balm Duo £10.50. I have a couple of EOS lip balms and I love them, I use them all the time and I think the convenient packaging is just perfect. There’s nothing worse than sticking your finger in a lip balm pot and getting sticky! So that’s about it for now. I’m sure there’s loads of other things that I can’t think of at the moment too! Previous Post April Degustabox Review! Ah the big 3-0, how exciting!